From Paradise Lost to the Carlisle Indian School to The Simpsons, this fall's public arts events draw from diverse inspirations. And together they showcase deep wells of talent, both among visiting experts and artists and among students, faculty and staff. The Department of Theatre & Dance gets bookish this semester with two literary-themed performances. Kate Hamill’s adaptation of Pride and Prejudice brings a new twist to this Jane Austen classic, while the PARADIZ’D multimedia dance performance draws inspiration from the first book of Paradise Lost. The Trout Gallery commemorates the centenary of the closing of the Carlisle Indian Industrial School (CIIS) with two reflections on Native American history and culture: Re-Riding History From the Southern Plains to the Matanzas Bay traces the journeys of 72 Native Americans who were incarcerated and forcibly acculturated, and Shan Goshorn’s artful baskets incorporate text and imagery addressing social issues central to the Native American experience. Two additional Trout Gallery exhibitions seek out contrasting responses: Unloaded explores the highly charged, divisive nature of gun culture in the United States, while an exhibition of large-scale photographs by Joyce Tenneson evokes a classic stillness and composure. Audiences will look toward a colorful future during this semester’s Mermaid Players production of Mr. Burns: A Post-Electric Play, which imagines a world in which Simpsons characters have become mythic figures. Audiences also will see the past brought into present during performances by The Newberry Consort and actor Bob Weik. While The Newberry Consort tells the love story of Pierre Abélard and Héloïse D’Argenteuil, using costumed actors, medieval instruments, vocalists and projected images, Howard Zinn’s one-act play, presented by Weik, portrays Karl Marx, who visits contemporary society so he can clear his name. Audiences will time-travel in a different sense during an interactive performance created by visiting dance artists Colette Krogol and Matt Reeves of Orange Grove Dance, along with Visiting Assistant Professor of Dance Erin Crawley-Woods and Assistant Professor of Design Kent Barrett. 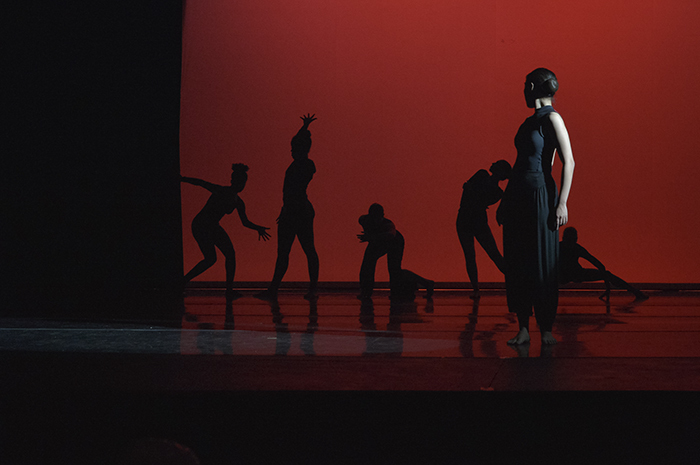 The site-specific performance, held at the historic Carlisle Theatre, uses dance, media and sound to explore the ways we interact with spaces across time. Along with members of The Newberry Consort, Krogol and Reeves are only a few of the visiting artists who will augment their campus visits with student workshops, class visits and small-group interaction. Rudy Shepherd, a Penn State University faculty member who works in painting and sculpture, will deliver individualized critiques to senior studio art majors in addition to exhibiting new works. Noted jazz guitarist Randy Napoleon and Korean violinist and vocalist Ye-Jin Han will each work with student musicians as well as perform with faculty musicians. The fall semester's visiting scholars and experts include Chris Sharples ’87, principal at SHoP Architects, who will deliver a lecture about his work at his NYC firm, which design buildings and environments that improve the quality of public life, and Ingrid Rowland, professor of art history at the University of Notre Dame School of Architecture, who will present two lectures as part of the 21st-annual Christopher Roberts Lecture Series. The semesterlong lineup also highlights the talents of Dickinson faculty, students and staff. Carl Sander Socolow'77, college photographer, and Brooke Wiley, studio art technician, will exhibit new works in two separate Goodyear Gallery exhibitions. Faculty musicians Eun Ae Baik-Kim (piano), Jihoon Chang (clarinet) and Michael Cameron (cello) will grace the stage. Student musicians in Dickinson’s performance studies and chamber music programs will appear onstage in Noonday Concerts; they’ll also compete in the annual Concerto Competition and perform as part of the College Choir, Orchestra and Jazz Band. Student artists will present works in progress during the annual Senior Studio Art Exhibition preview and will present a new mural on the Goodyear Gallery wall. For dates and details about this semester's arts events, visit dickinson.edu/coa. Learn more about the arts at Dickinson.